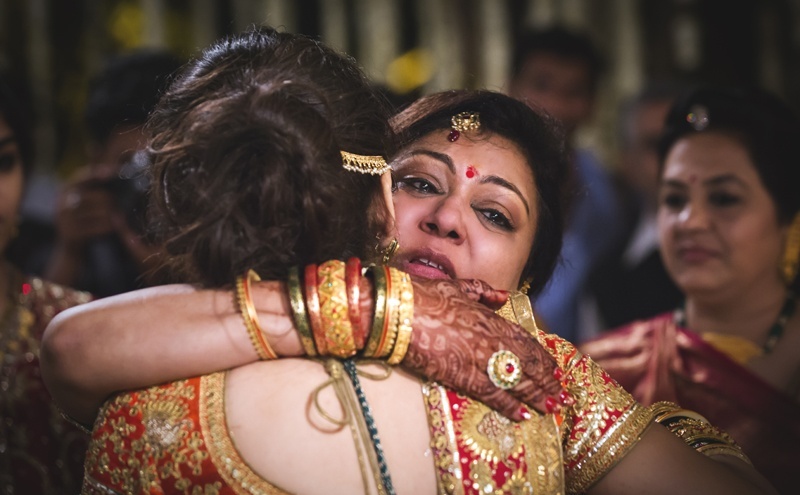 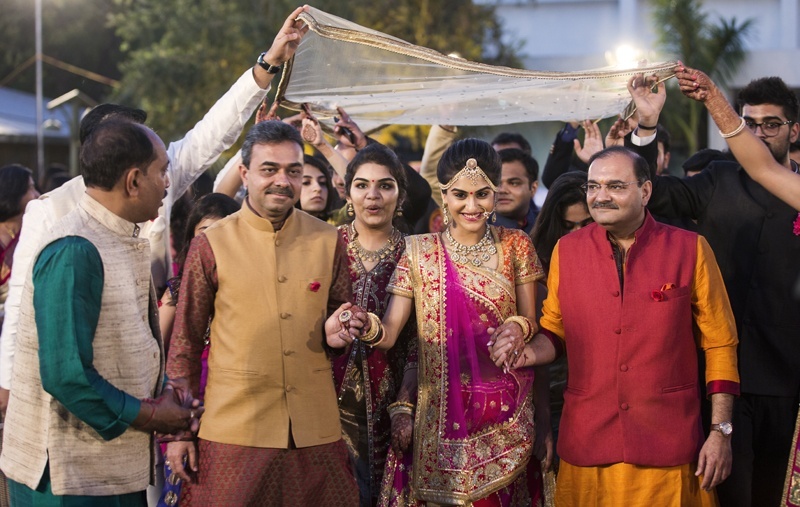 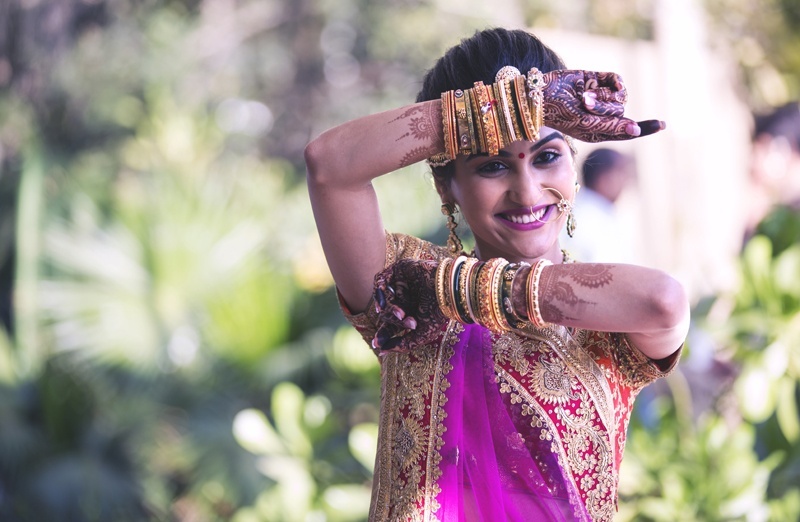 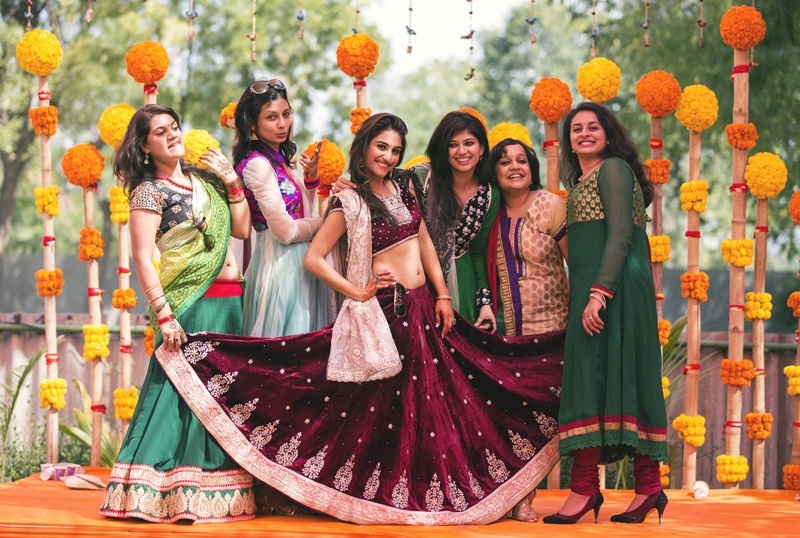 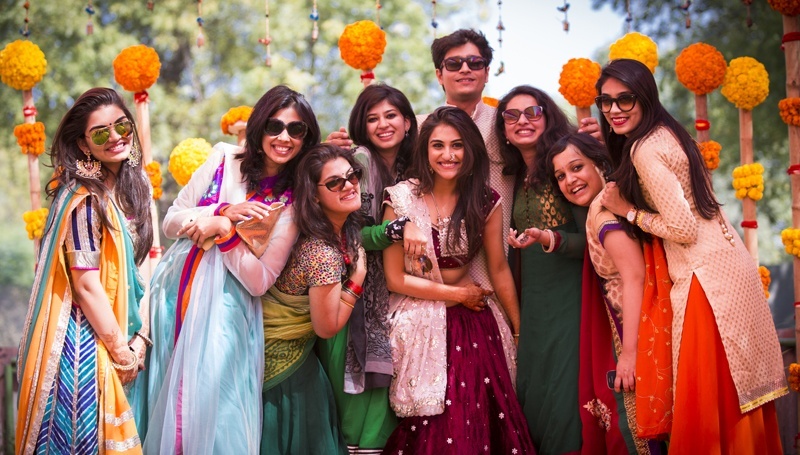 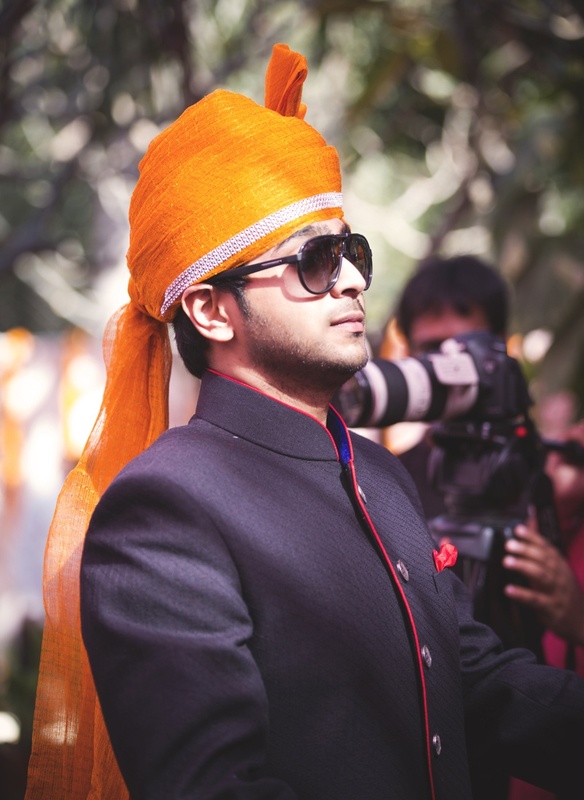 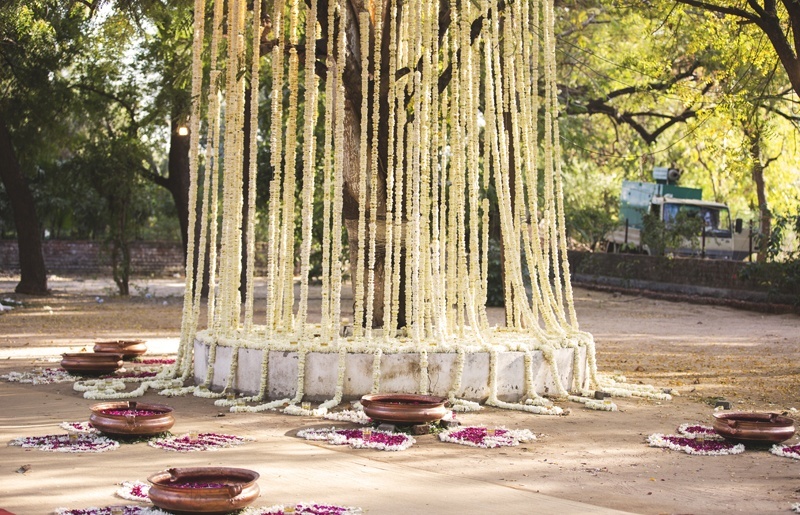 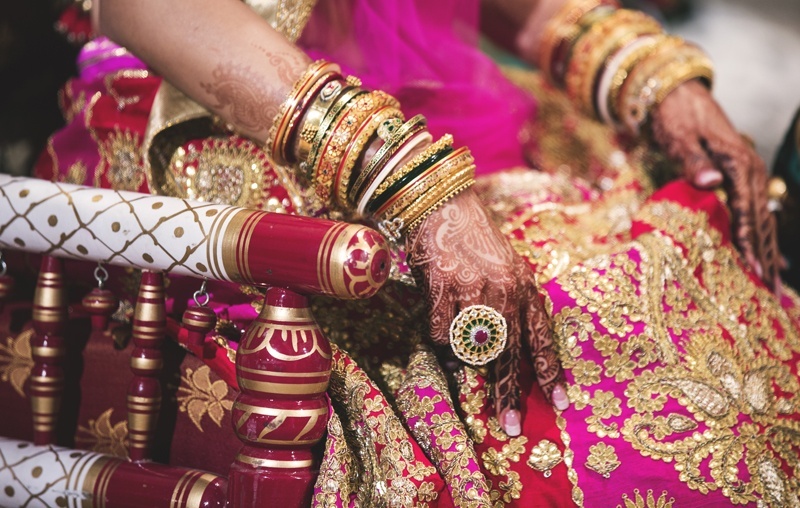 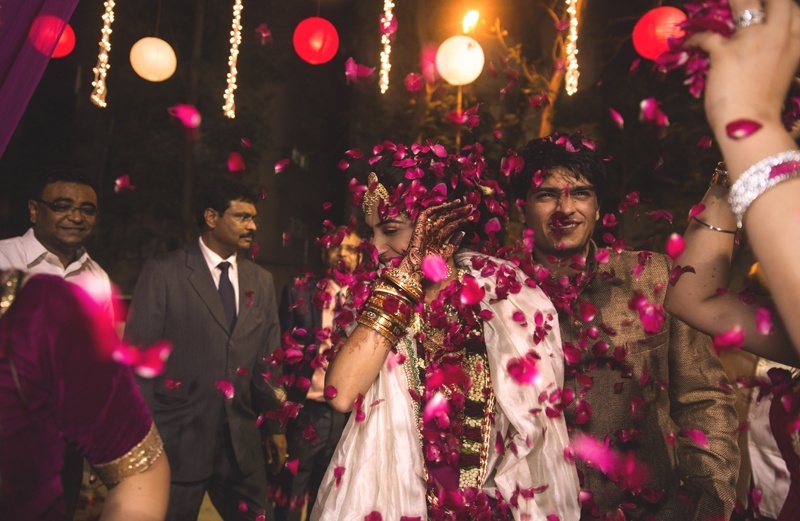 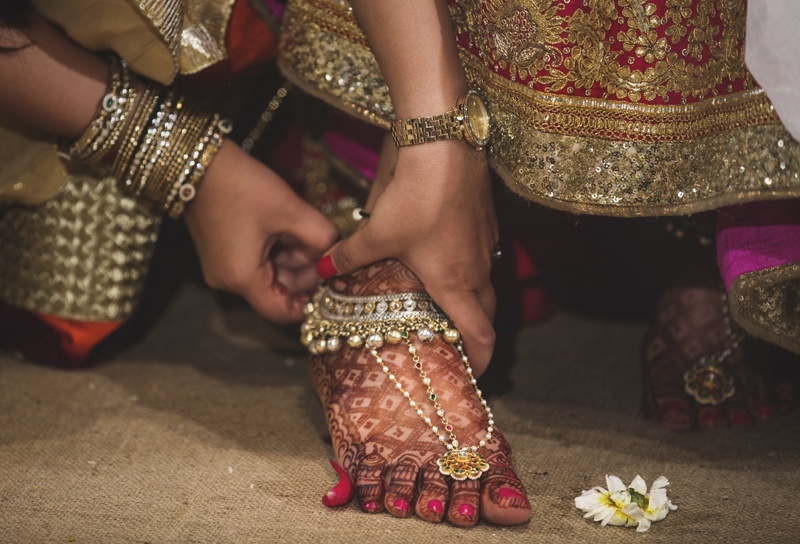 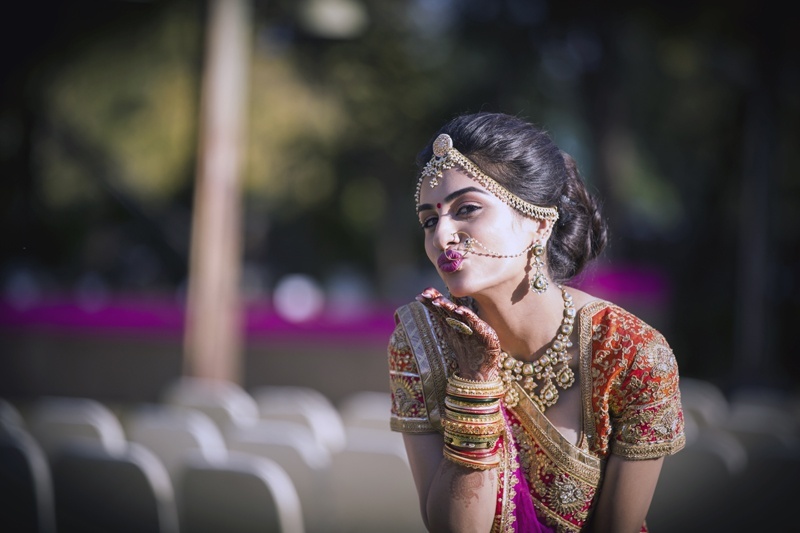 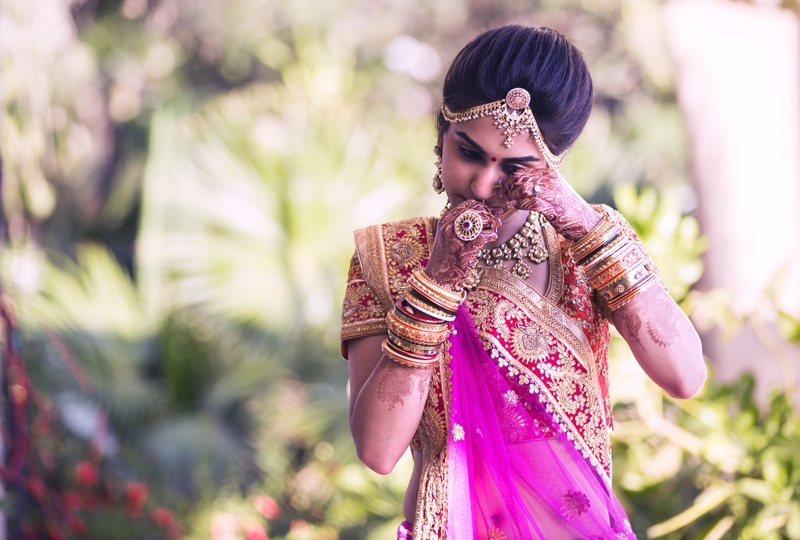 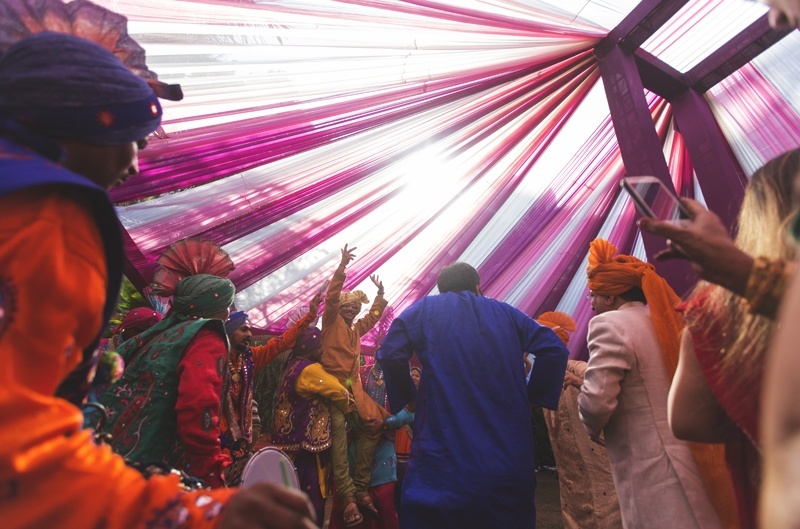 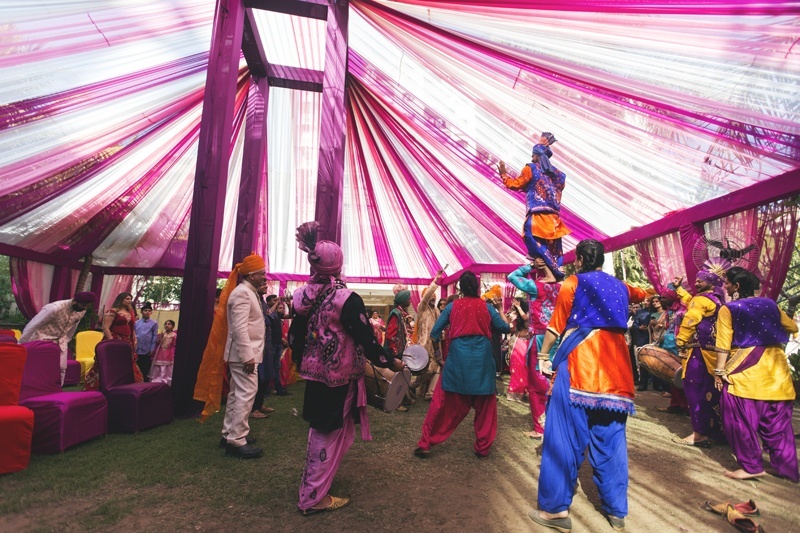 A Big Fat Indian Wedding with all things colorful and pretty. 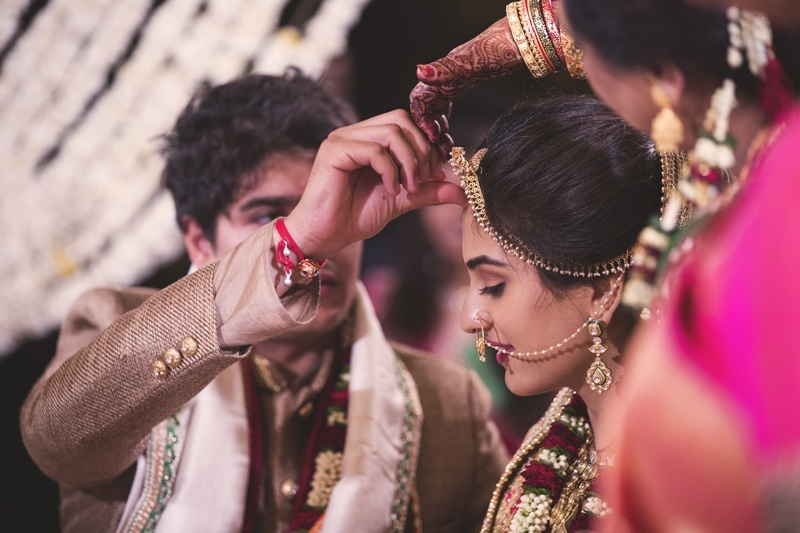 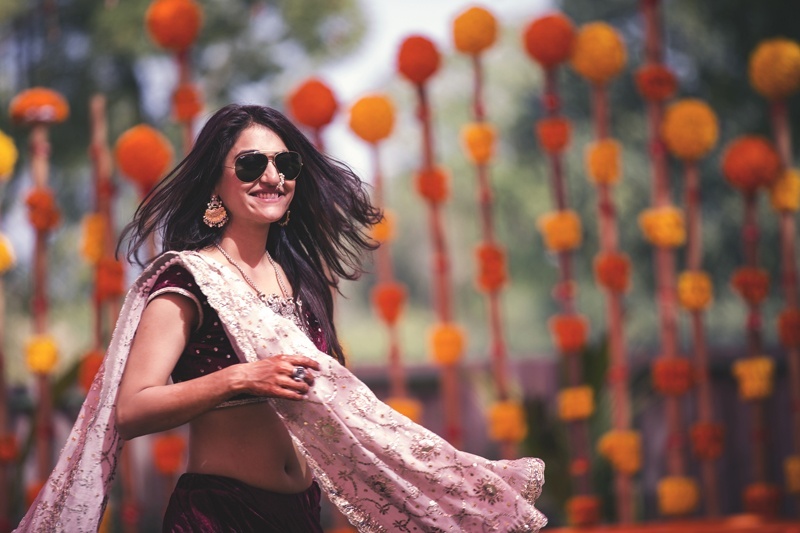 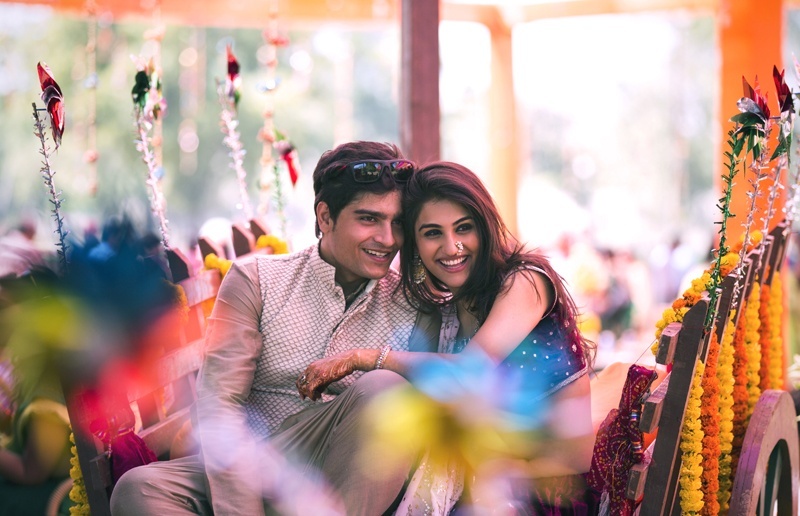 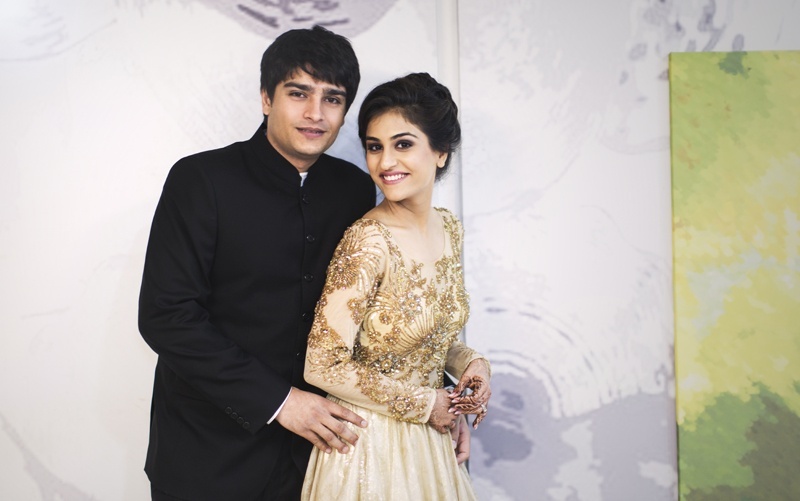 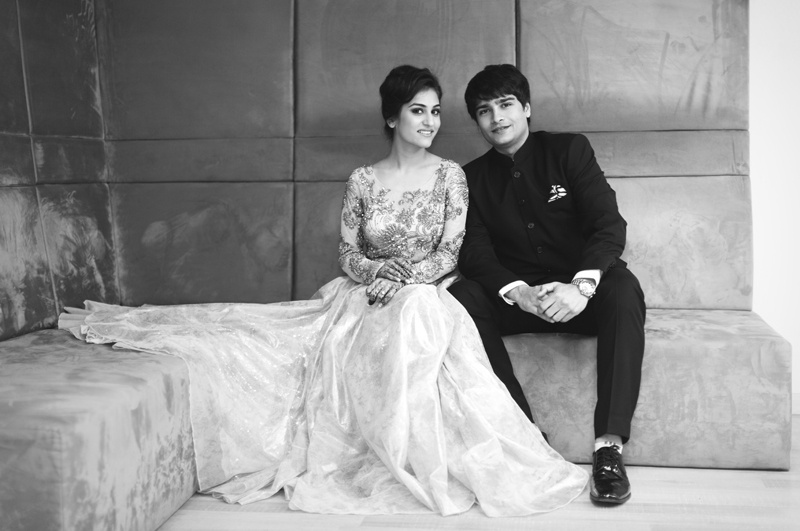 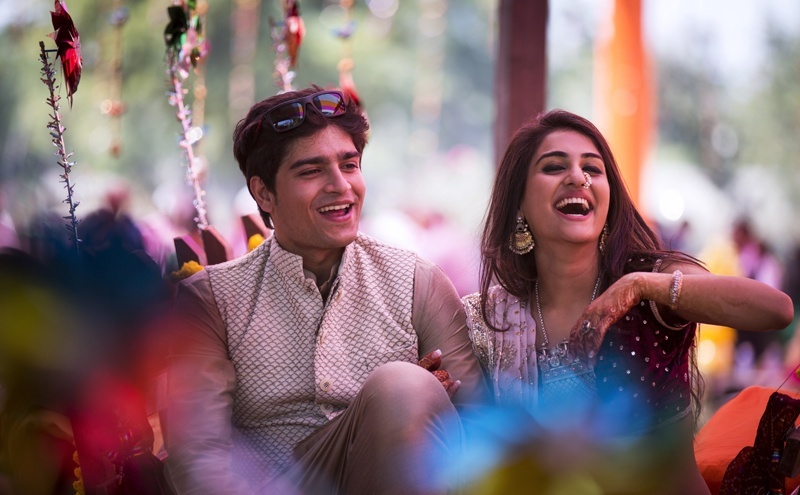 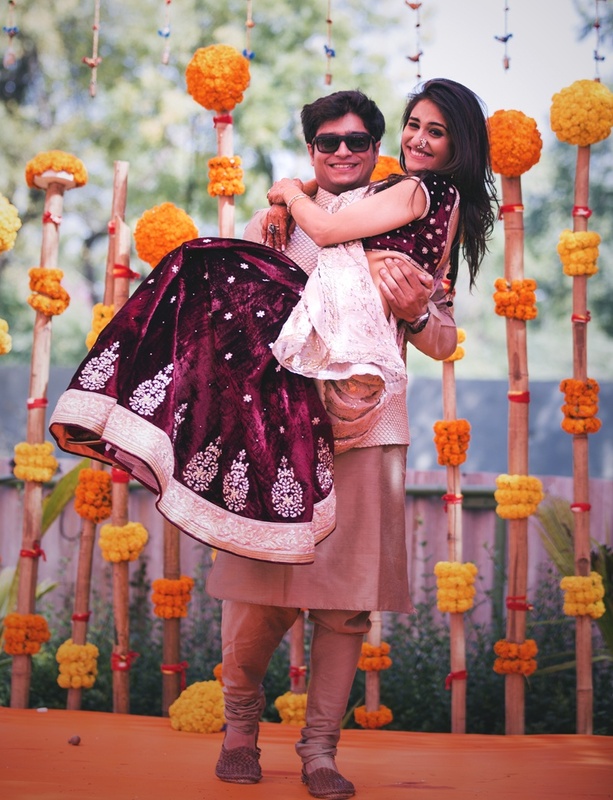 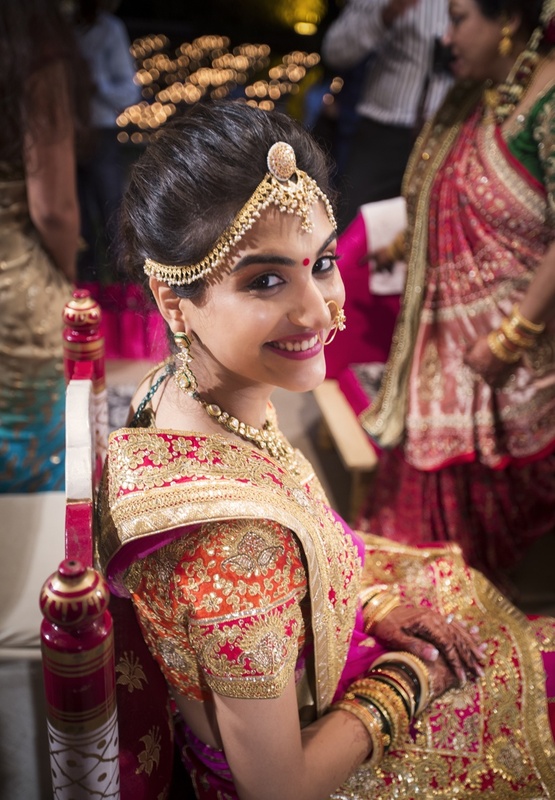 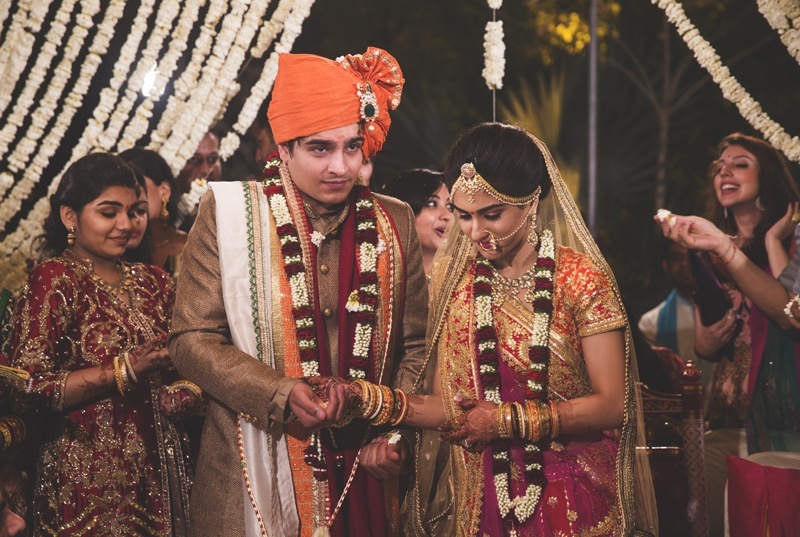 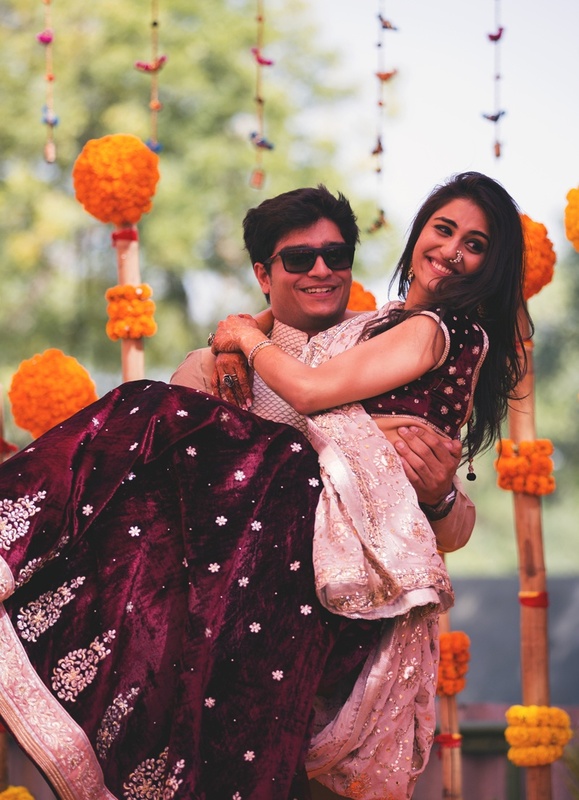 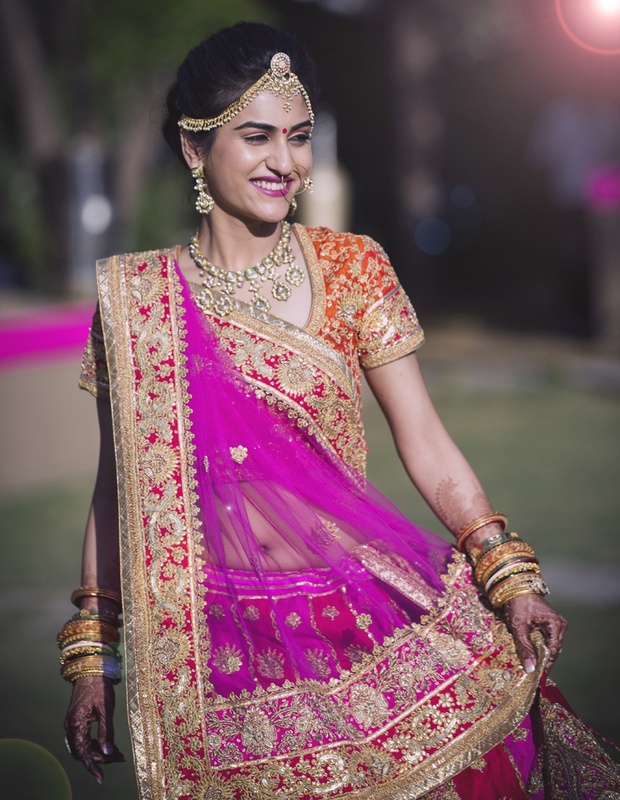 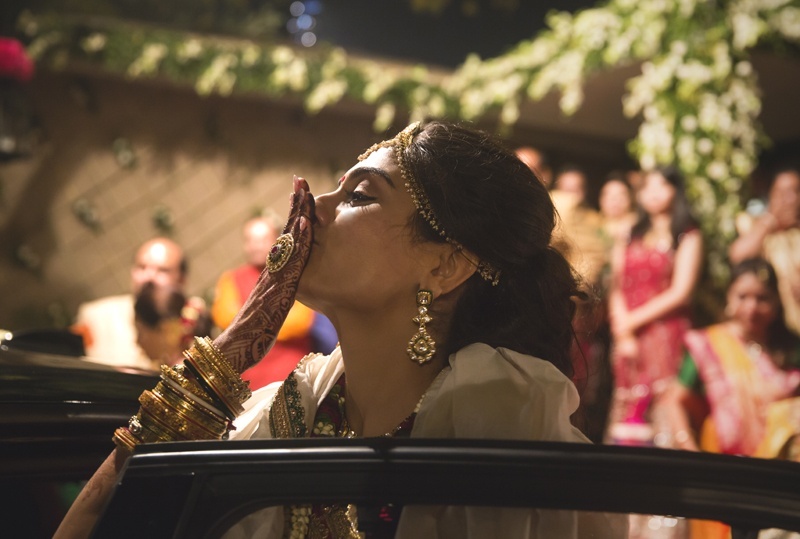 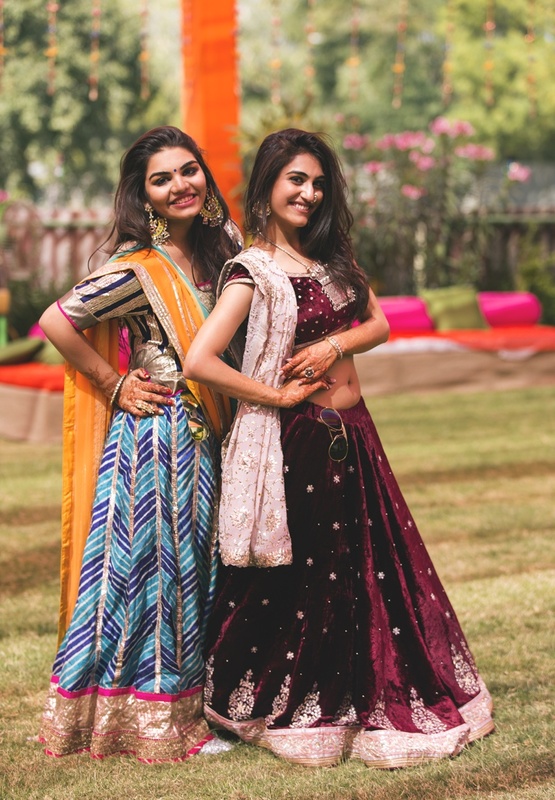 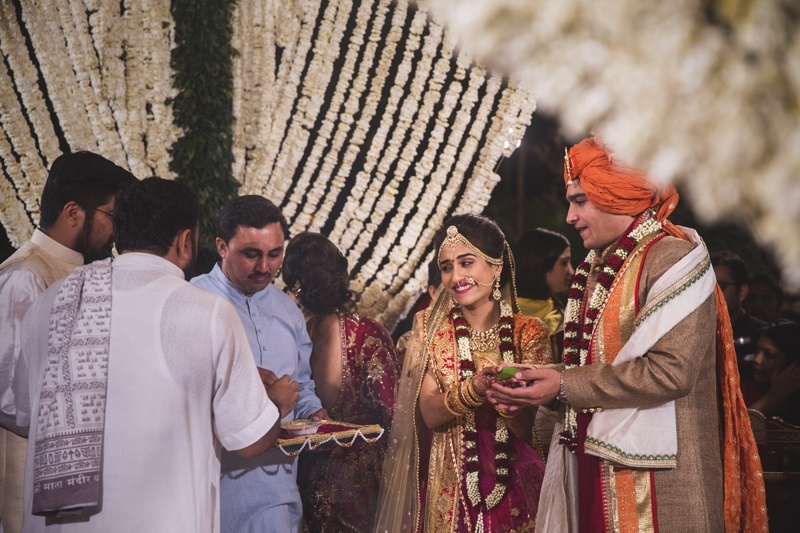 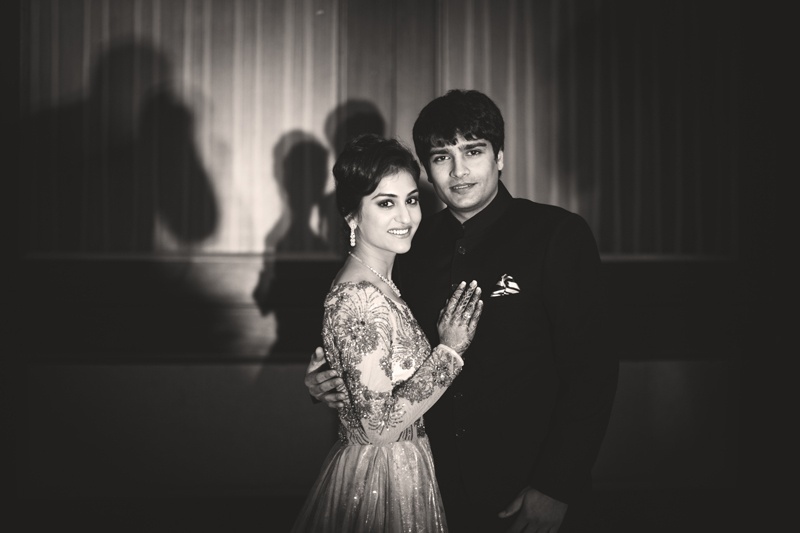 Right from the colorful décor at the mehndi to the all pink and white décor at the wedding, Parth and Priyanshi’s celebration was what dreams are made of! 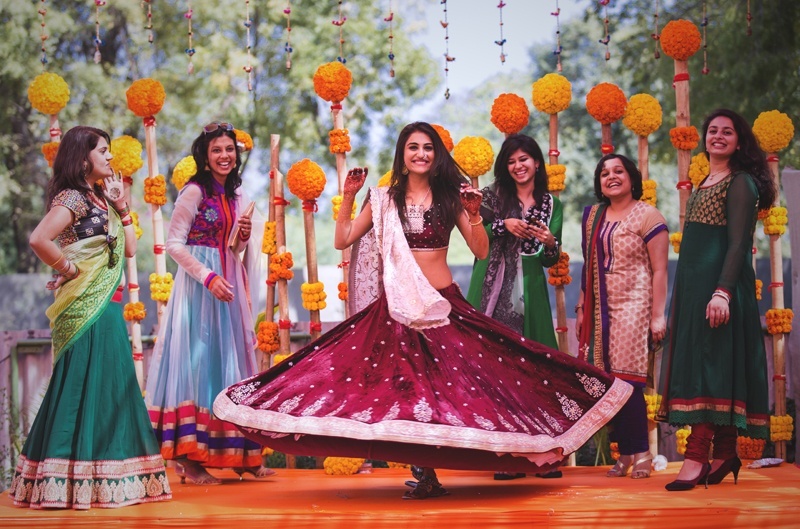 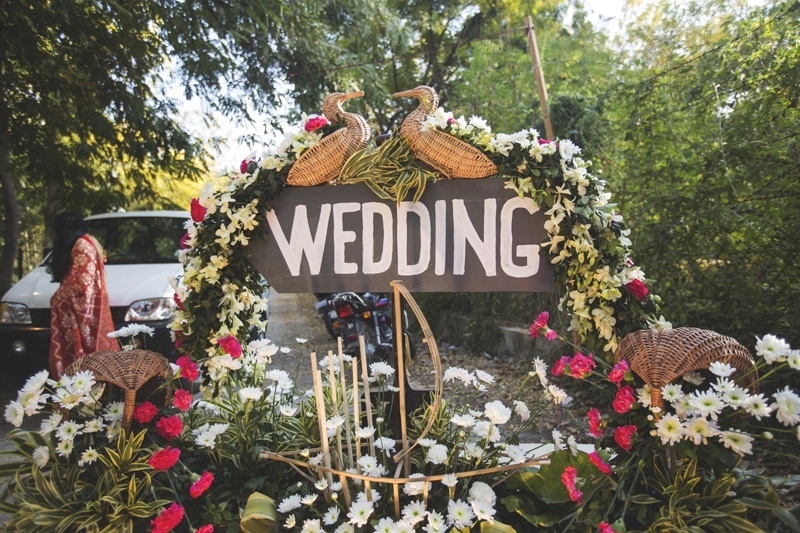 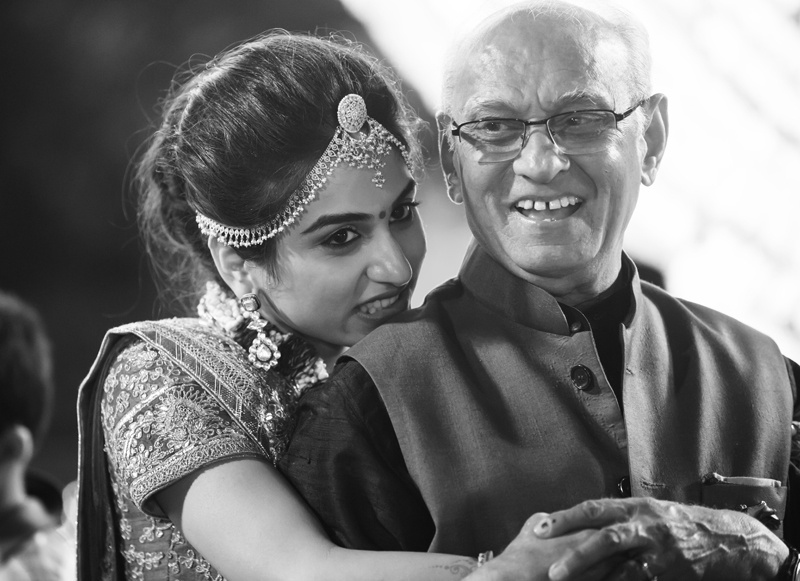 The team at Mithilesh Choubey Fotografia captured this gorgeous wedding in its natural fun element. 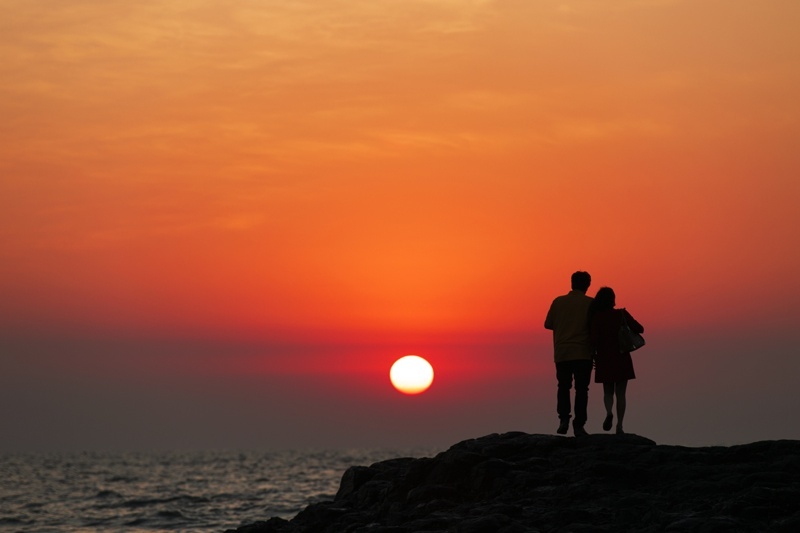 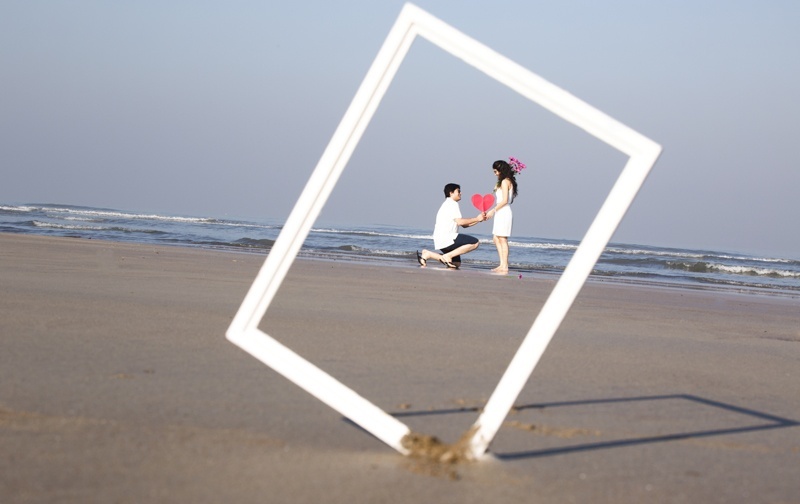 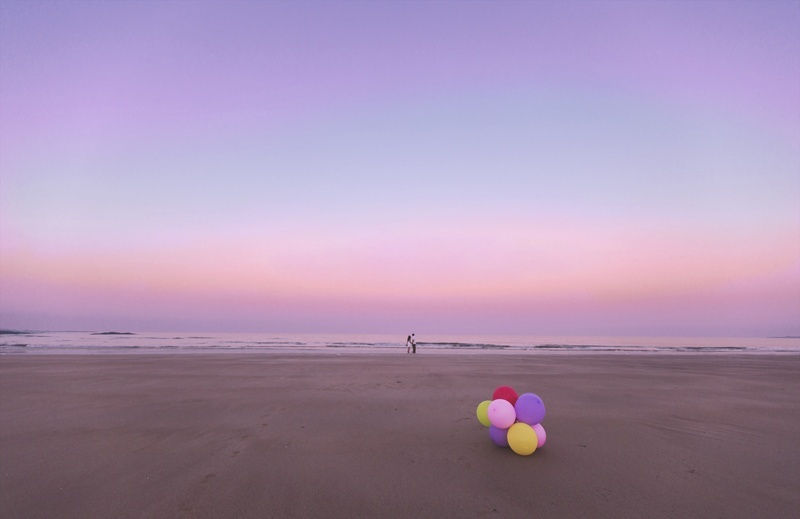 While they kept the pre-wedding beach shoot minimal with the clothes and props, the widespread beach did all the talking. 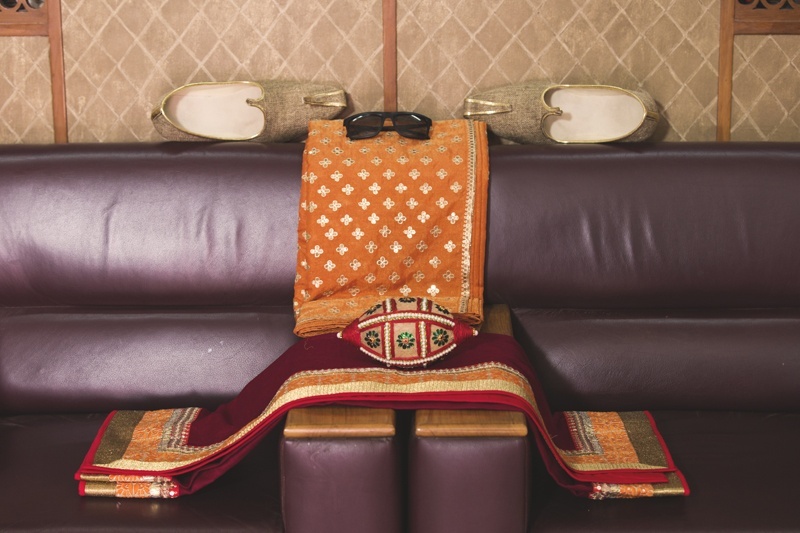 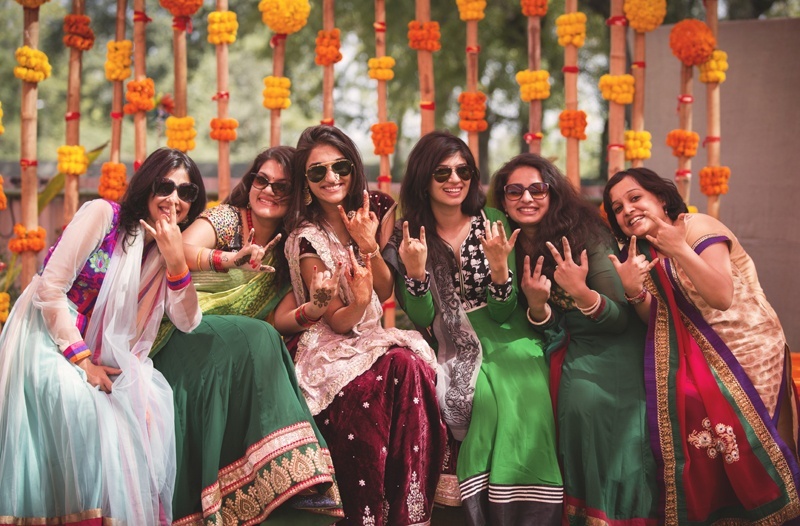 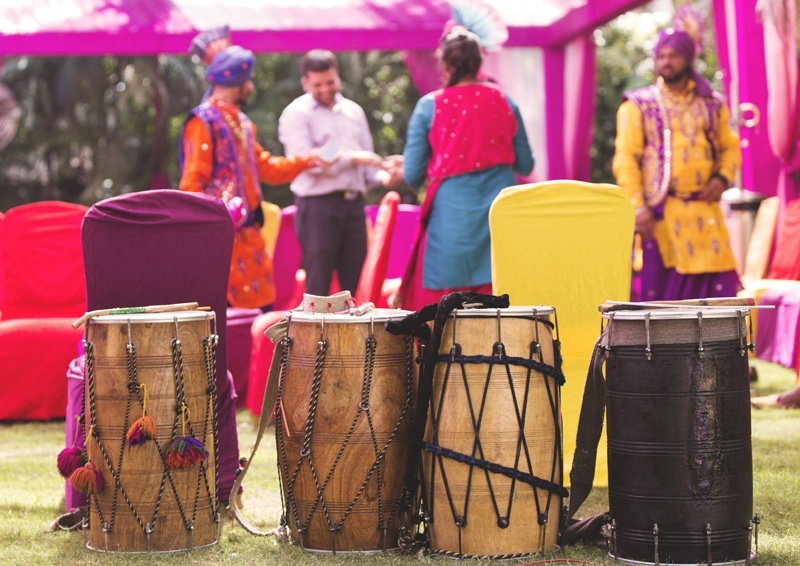 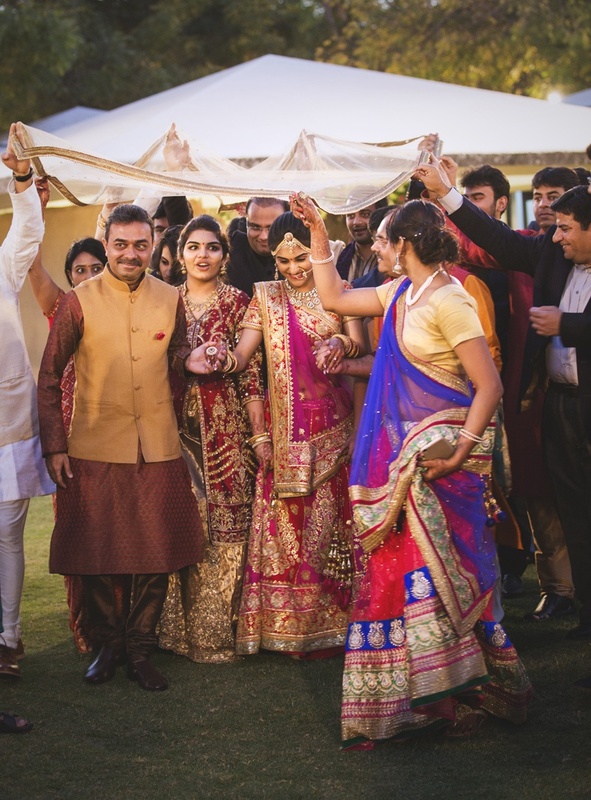 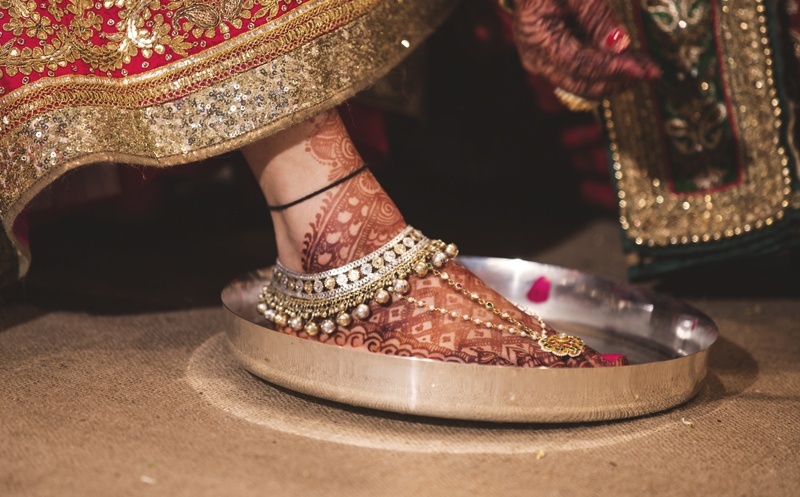 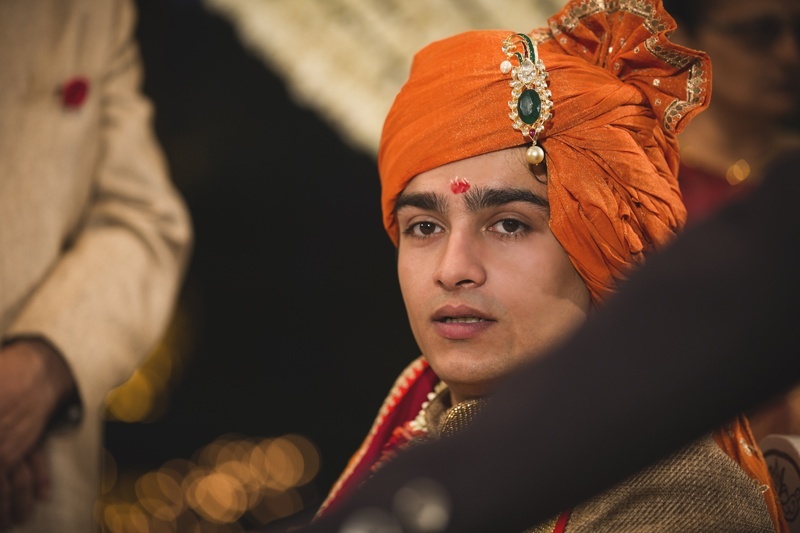 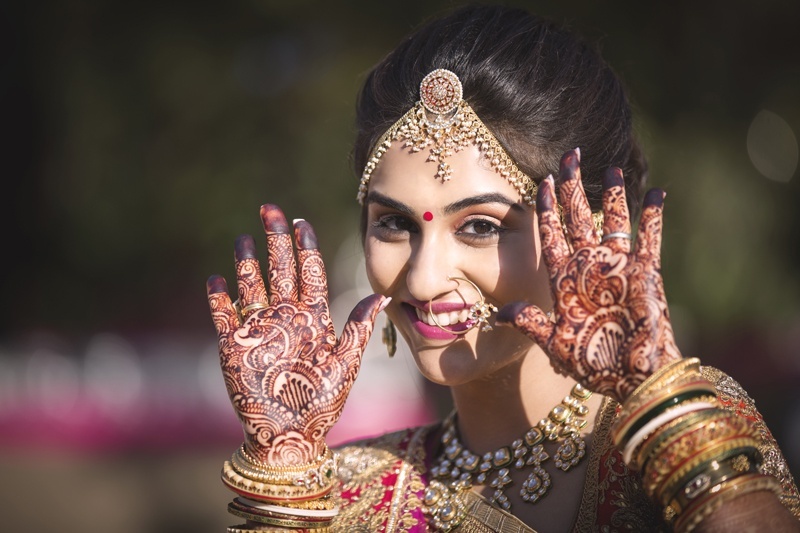 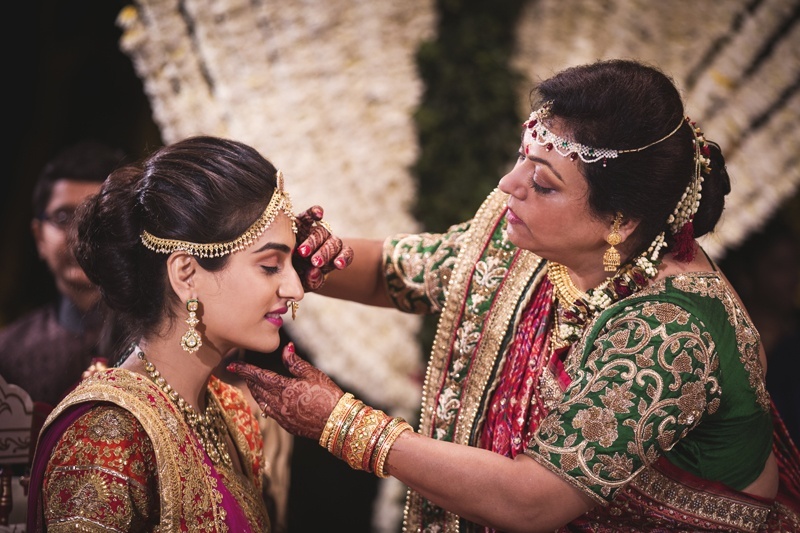 What we especially loved about this grand Gujrati wedding was how the mehndi décor was so simple, and very DIY-able, yet made a bold statement. 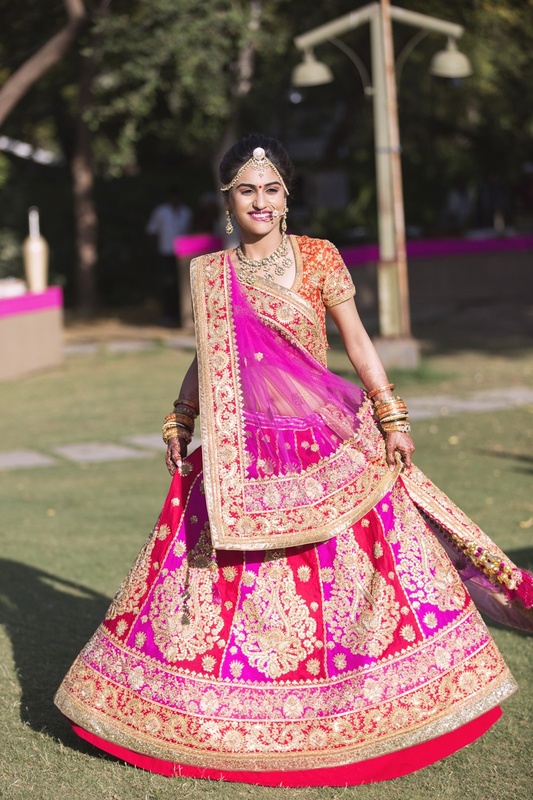 The mini stage set up with bamboos wrapped in yellow and orange hued marigold flowers with topiaries of the same to compliment – a perfect backdrop to capture Priyanshi twirling in her gorgeous purple velvet lehenga. 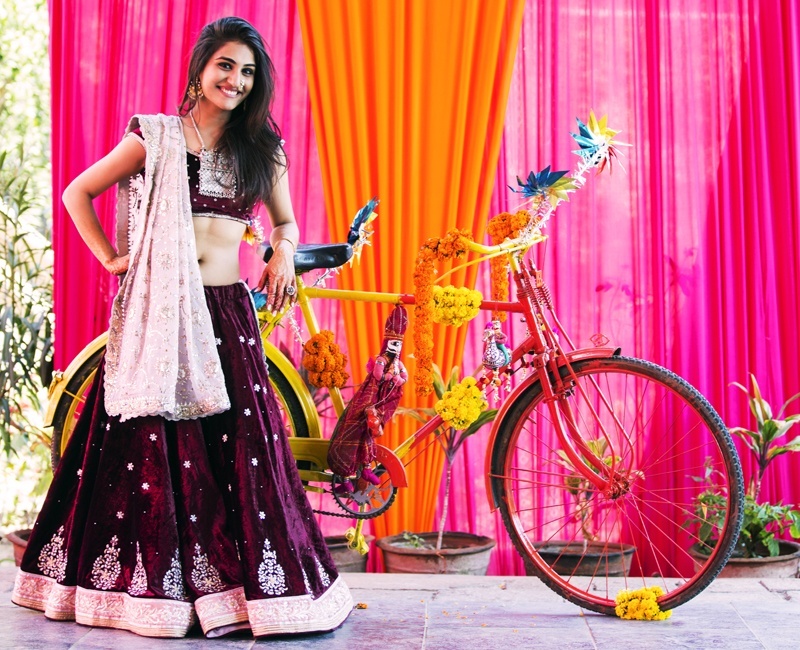 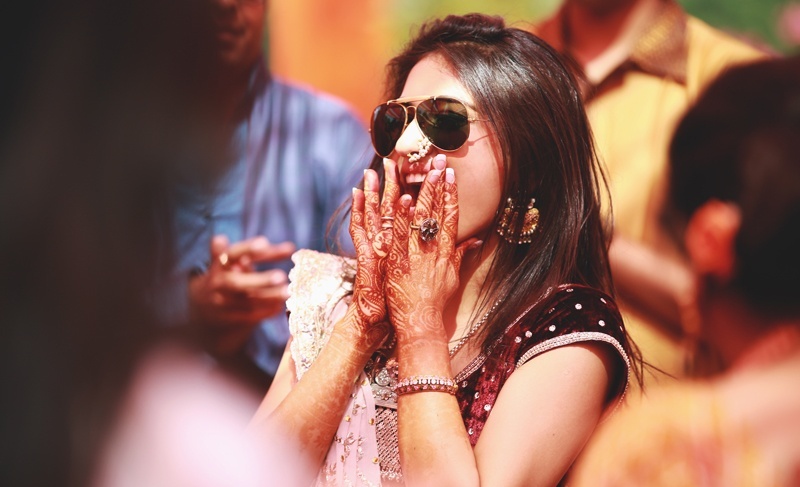 Plus, any outdoor mehndi set up is incomplete without a decorated bicycle – don’t you agree?! 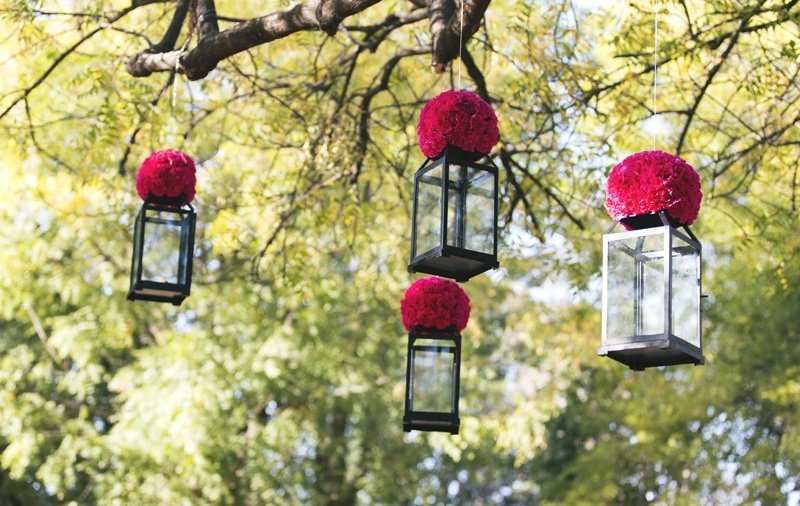 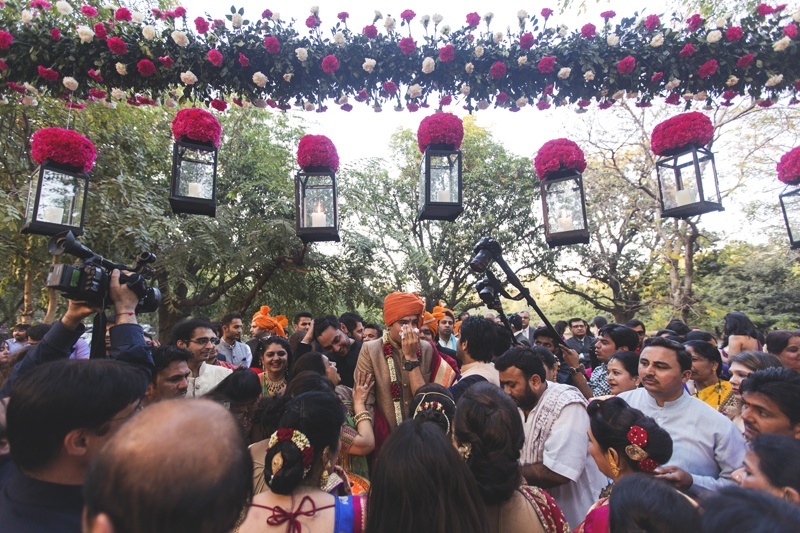 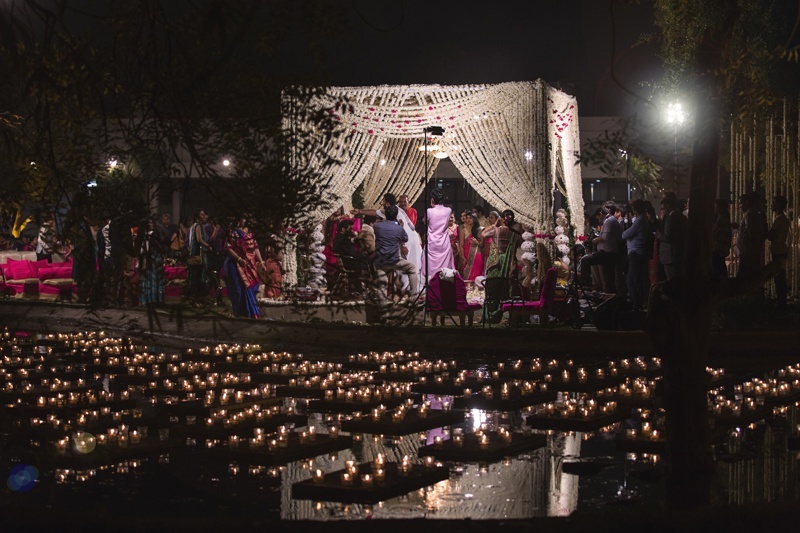 Three distinct elements stood out at this stunning outdoor wedding – the vintage lamps topped with gorgeous pink flower topiaries at the enterance, the wedding mandap exclusively decorated with white marigold flowers and (our personal favorite) the floating candles on wooden logs surrounding the mandap – their outdoor wedding setup was so pretty and so dreamy. 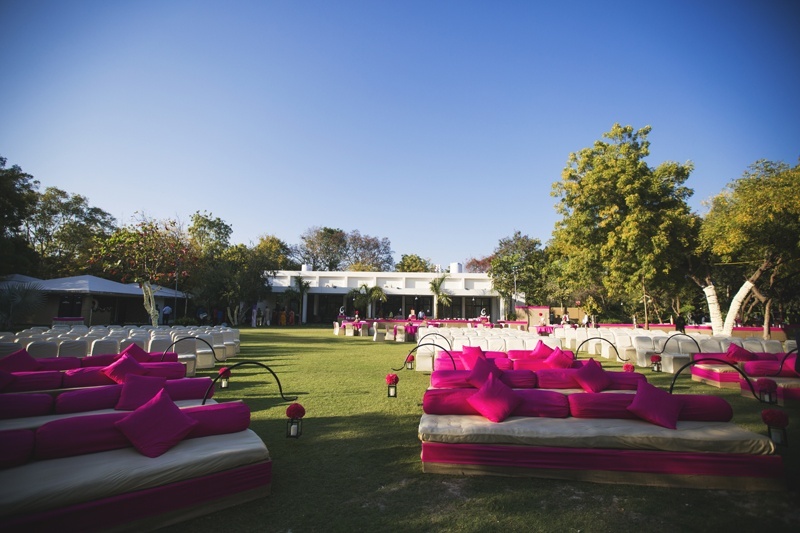 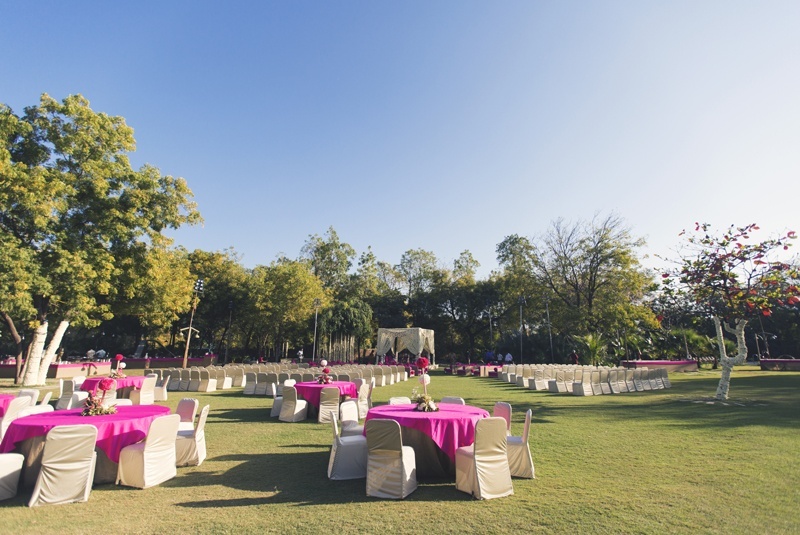 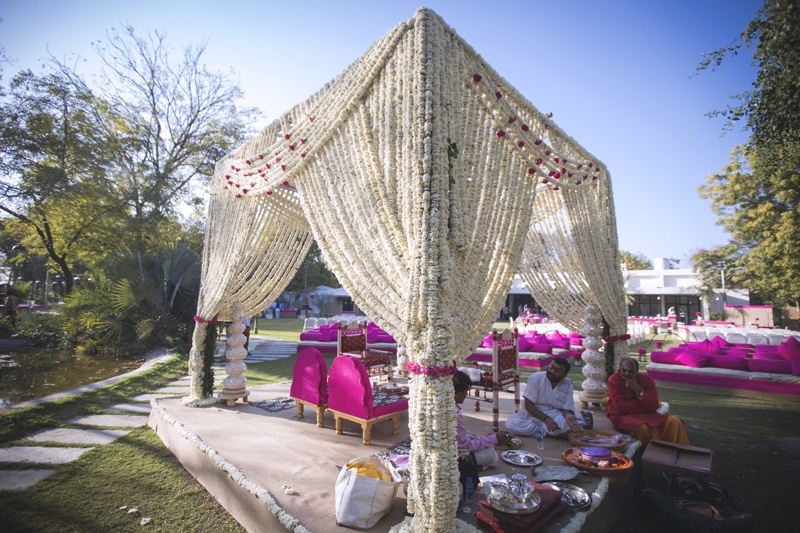 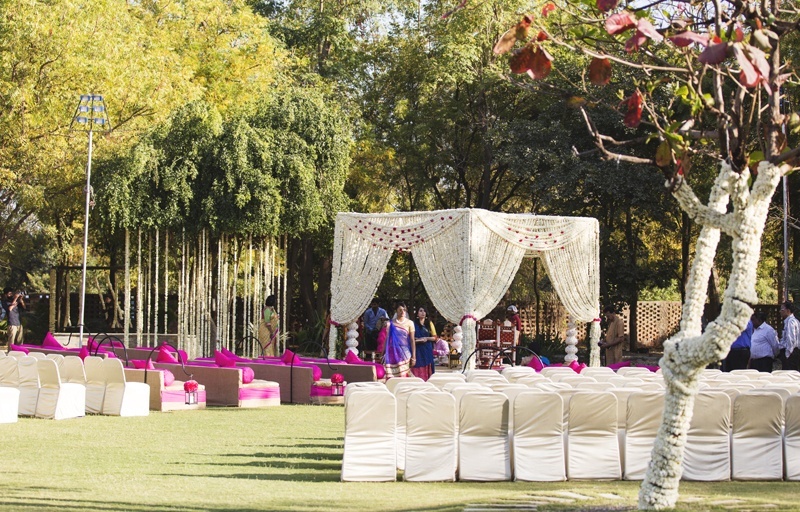 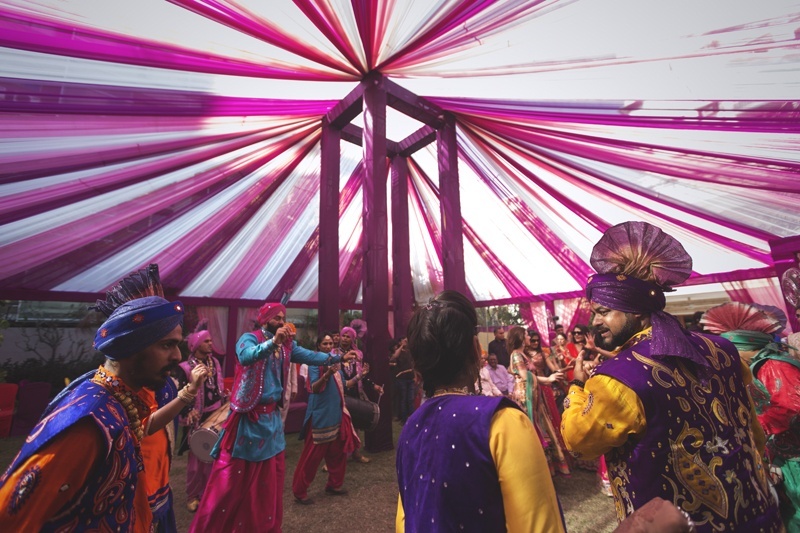 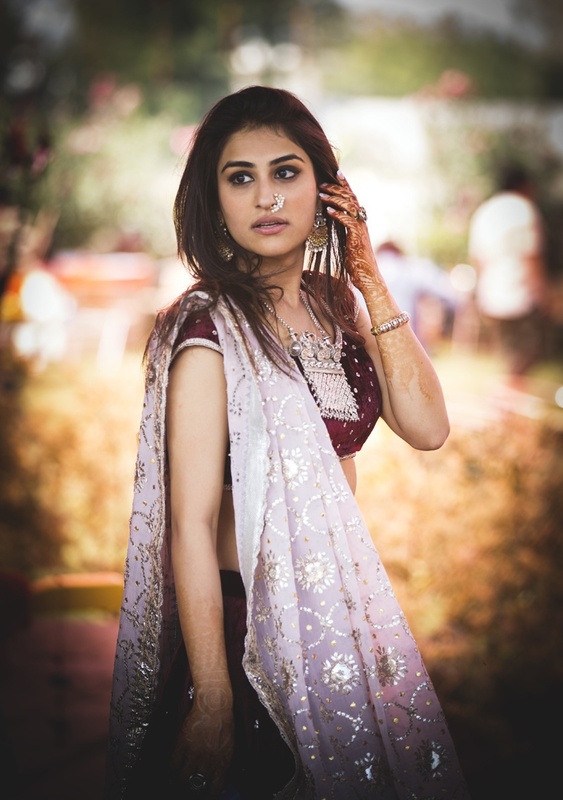 What to look out for as you scroll through the wedding album – the breathtaking pink, purple and white canopy, the unconventional seating arrangement with white sofas and matching purple bolsters and cushions and the Priyanshi’s pretty pink and gold bridal lehenga.